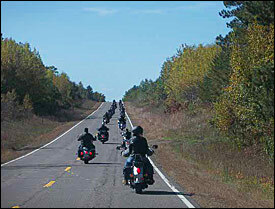 Four Seasons Resort Motorcycle ToursNorthern Wisconsin, the home of Four Seasons Resort, is a top destination for those looking for scenic motorcycle rides. The area is heavily forested with rolling hills and beautiful and unique areas characterized by many lakes, rivers and jagged & rugged terrain with many cliffs and other rock outcroppings. Bordering the southern shore of Lake Superior and home to the Cheqaumegon-Nicolet National Forest and many Wisconsin State Parks, Northwest Wisconsin offers some of Wisconsin’s best cycle and trike rides. 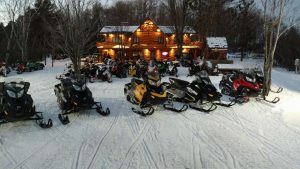 Four Seasons Resort on beautiful Lake Namakagon in Cable, Wisconsin is conveniently located right in the middle of some of the very best riding! Our comfortable vacation homes and deluxe cottages offer relaxing lodging after an exciting day of touring on the roads. The Main Lodge has a smoke-free full bar serving your favorite cocktails and beverages with fireplace and beautiful views of the lake. Think about making Four Seasons Resort your base camp for your next motorcycle vacation! Highlights: Ride scenic Hwy 77 through Wisconsin’s elk country. Beautiful Chequamegon National Forest. Flambeau River State Park. Highlights: Wisconsin’s Elk Capital (Clam Lake). Chequamegon National Forest east of Park Falls. Turtle-Flambeau Flowage. Waterfalls around Hurley. Eye Protection: Required, glasses, helmet shields or goggles.